Facebook provides a tool called ‘Insights’ with every page. Insights is a VERY handy tool that will show you how each and every post you (or your delegate) made is performing. The reporting Insights provides is extremely granular as you can scroll down and see how many times each post was shared, how many times each post was ‘liked.’ How people reacted to a post (hearted, thumbs up, shocked/surprised). Also see the number of views of a photo received. You can see how many people commented on each post. You can even see the number of negative feedback a post received. Most importantly, you can see how many people were reached by your post. The detail of these reports can be fascinating because with a little bit of practice you can start to gauge the interests of your followers and see post by post how content can be interesting or not interesting to your audience. If you are posting content just for the sake of posting content, you can expect low numbers of engagement because content for content sake is usually just filler, and people don’t a give a darn about filler. Filler is not interesting. Engagement IS reaction, and reaction is the first step towards action, which is ultimately what we want from ‘our’ people. Our people. Our audience. Our fans. Our followers. Social media is all about forming communities of people. One of the most overlooked objectives of social media is to create a fan base of people who have clicked ‘Like’ or ‘Follow’. Back in the early days of social media, you could pretty much make a post and reach out to vast amounts of people. But as social media usage grew the creators of social media systems had to restrict the reach of every post and limit your content organically reaching your entire fan base, but even that has changed. These days you pretty much have to ‘pay to play.’ But even at that, it’s not as bad as you might think. We dry cleaners are familiar with building a customer list inside our point-of-sale systems, and we can build customer lists on social media platforms as well. Every like, every follower links our customer to us. 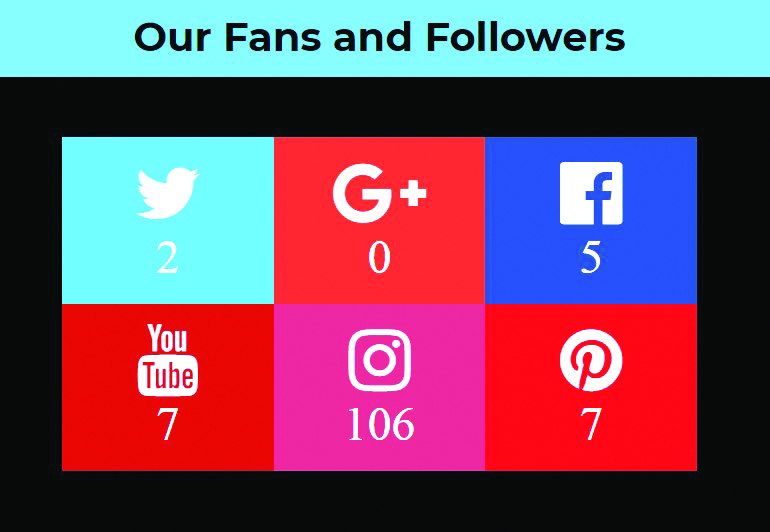 I’m somewhat fanatical about tracking growth in followers, so I built a social media counter that links up to the major social media platforms and will display active accurate counts of fans and followers. Here is a screen shot of one of my demo-test systems (and the zero Google Plus followers reflects Google dropping their foray into social media). One could have a small flat screen mounted on an office wall and watch fan counts in real time. It’s kind of addicting watching the number of followers changing daily, sometimes even hourly. If you have a lot of followers, you might even want to consider bragging it up a little bit and put a social media counting screen up in your lobby……people like joining a crowd (notice how nobody ever goes to an empty restaurant? )…..so folks coming into your store will see your impressive numbers, and they may want to join your followers and ‘like’ you too. 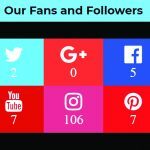 Keeping on top of your social media followers is a great way to keep your eye on growth (and growth in followers is another way to judge if your social media is working), but did you know about the incredible advantage one has when it comes to using data associated with a fan base? Did you know you can learn more about your customer base by tapping into demographic information social media platforms have on file about your followers? Did you know social media platforms are willing to share that information with you? In fact, you can even use this information to find new customers just like the ones you currently have! Using social media to communicate to your current customer base can be extremely affordable. Rather than paying the post office to send direct mail to your current customers, you may be very interested to know that you can reach out directly to your current customer base using messenger or extremely targeted ads at rates that are very low. 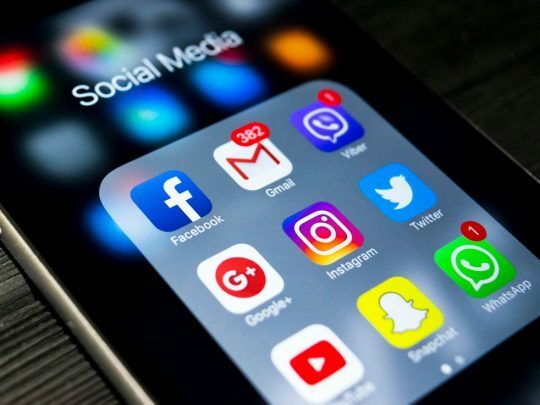 Yes, a lot of social media features are free, or were free, but since many of these social media companies have gone public, there are some fees associated with certain services, but they are very affordable. Which brings me to back to the conversation I had with my caller……..
My caller’s definition of working social media was: Knowing how many garments that came into his plant because of his efforts he’s made using social media. Well, that’s a darn good question, and a tough one. Like any marketing effort, if you don’t have a call to action in your ad (or post), and you haven’t set up your campaign with a tracking so you can trace back any orders triggered to a certain activity, you may not ever be able to know how many pants came in because of your post. Facebook provides many different tools to add elements of accountability to their platform. In addition to the Insights system, Facebook has another system called ‘Offers’ available. You simply create a Facebook Offer – go to your facebook page, instead of making a post, select ‘Offer’ and follow the instructions. You can include a call to action, or add specific terms to redeem the offer. I recommend adding the offer to your point-of-sale system as a coupon so you can track individual orders that come in due to the offer you made on Facebook. Facebook offers are free to post, or if you wish to promote the offer, you can make a small investment to extend the offer to a larger potential market. You can set date for offers to start and end (a time limited offer), and again, adding the offer into your point-of-sale system for tracking will give you data to determine sales attributed to your efforts as well as a return on investment (if you invested more than just your time). So, how is your social media working, for you? Got likes? Getting likes? Got pants?